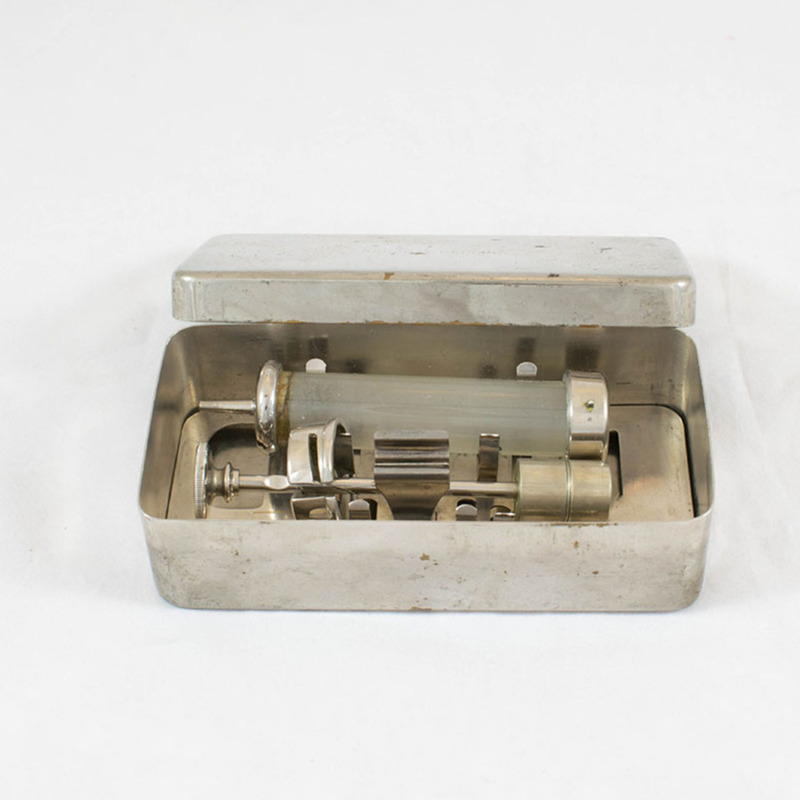 Record syringe with two hypodermic needles in holder and two files in metal box. 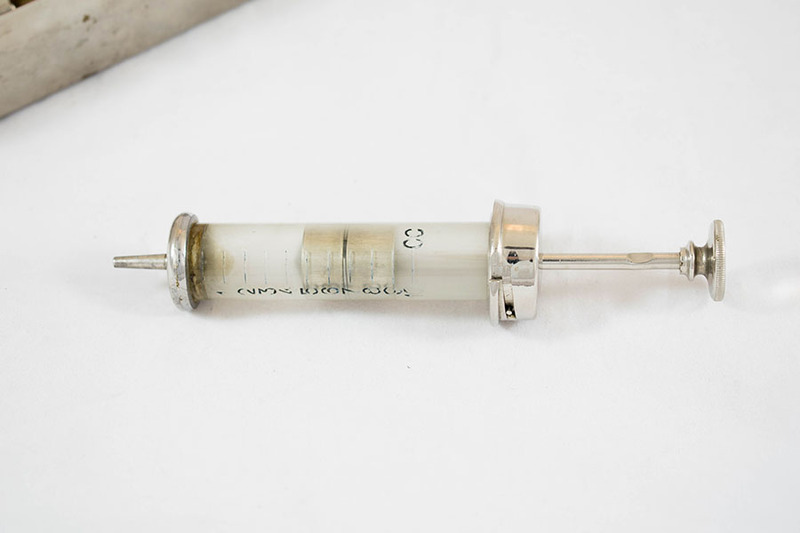 This syringe is from the surgical case of Maud Perry Menzies. 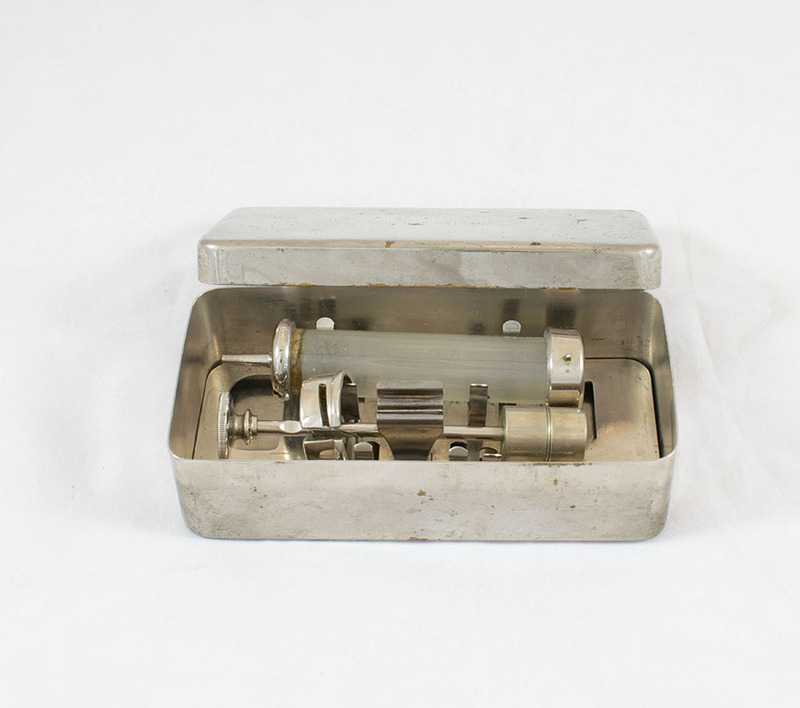 “Record Syringe,” Heritage, accessed April 20, 2019, https://heritage.rcpsg.ac.uk/items/show/422. Description: Record syringe with two hypodermic needles in holder and two files in metal box. 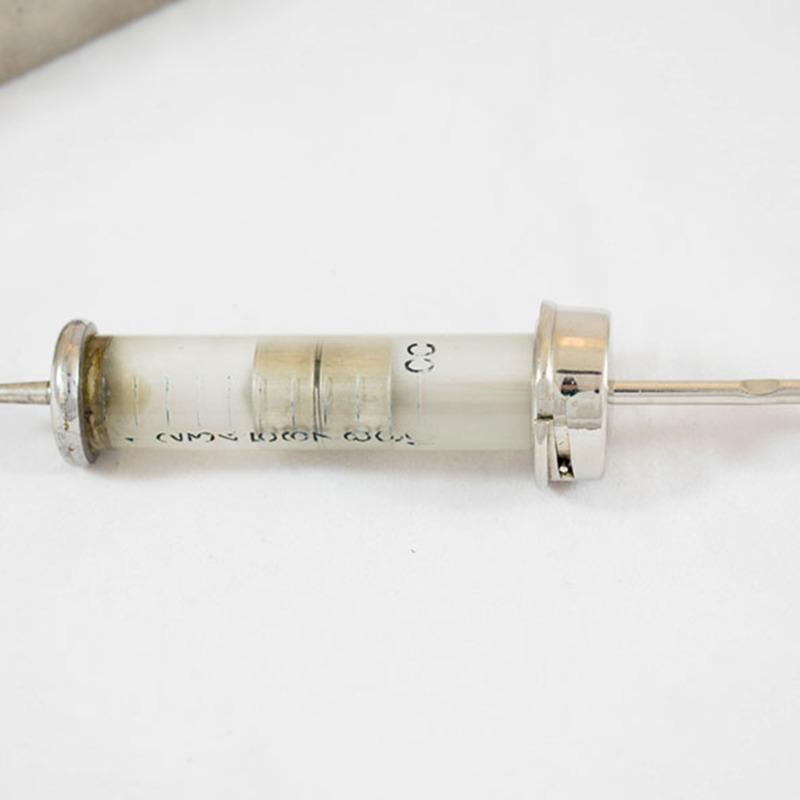 This syringe is from the surgical case of Maud Perry Menzies.